There’s a new Basil Hayden’s expression headed to stores this holiday season. 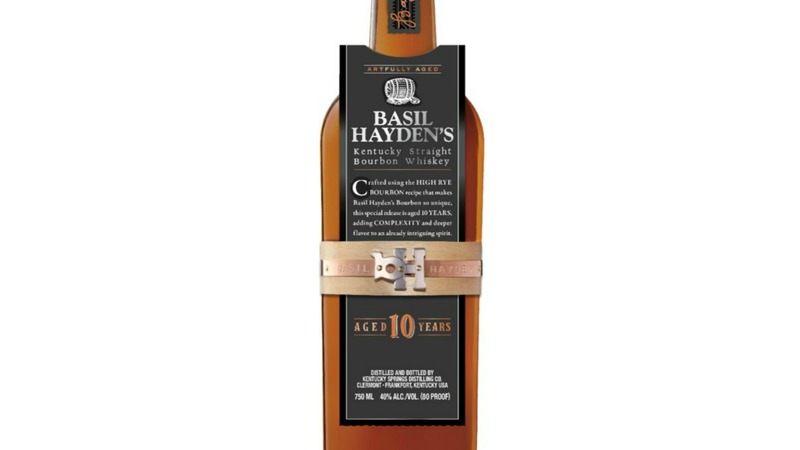 Basil Hayden’s 10-year is making its debut on store shelves this month, and will be available in limited quantities during the holiday season in future years. The extra aging on the brand’s high-rye bourbon recipe gives it highhanded aromas of oak as well as hints of char and vanilla. On the palate, you’ll get oak balanced by caramel sweetness and rye spice. The whiskey finishes lightly smoky with a slight hint of char. The bourbon is available now nationwide for a limited time with a suggested retail price of $59.99 for a 750mL bottle.